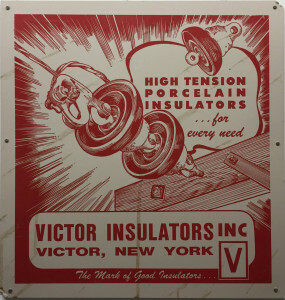 In 1893, Fred M. Locke founded the Victor Insulator Company right in Victor, New York. He set up the shop which would go on to manufacture different porcelain insulators used throughout the world. 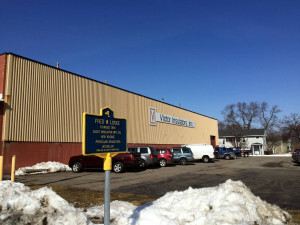 Today, it’s the oldest porcelain insulator company in North America. 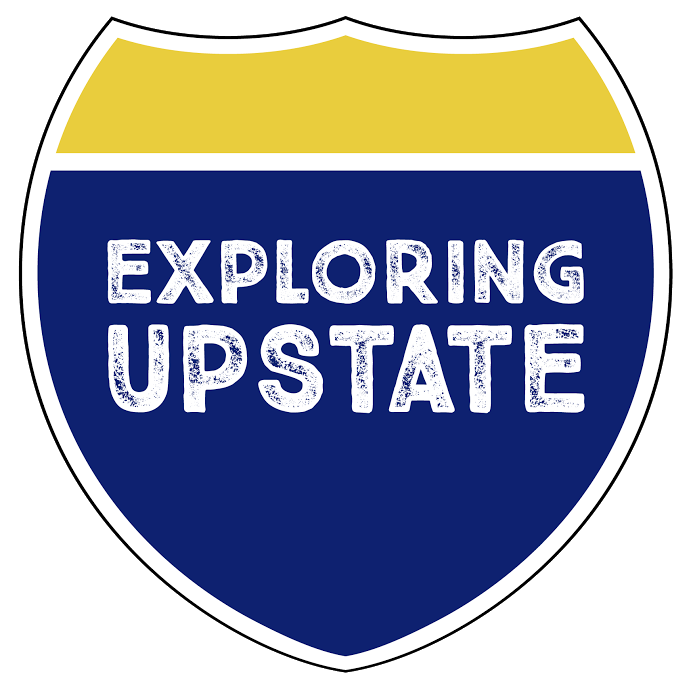 Equally as impressive, much of the plant is believed to be the first pre-stressed poured concrete building in Upstate, which is on the exact same plot of land Locke first began over a century ago. In fact, because of his contributions to the industry, Locke is now considered to be the Father of Porcelain Insulators. While I have an immense respect and admiration for the company’s endeavors that keep electrical lines doing their thing, what I really wanted to know was how they invented and marketed an American icon: the diner coffee mug. I received an opportunity to spend the afternoon touring the Victor Insulators factory with Bob Maslyn, a recently retired Victor Insulators employee whose experience at the factory dates back to the 1960’s. There’s a ton online about the history of the mug, but a quick glance at even a few sources will show that there’s conflicting histories all over the place. 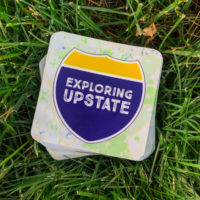 Between chatting with Bob, one of the current owners of the company Nick Knickerbocker, and countless employees on the factory floor who contributed to the conversation and a little bit of reading, I’ve managed to stitch together just how that iconic porcelain mug out of a small town in Ontario County came to be in the hands of so many Americans. With the advent of World War II, manufacturing in the U.S. either slowed altogether or manufacturing plants altered their product lines to produce items specifically to serve military efforts. Much like a certain New York writer that you all know, coffee was imperative to the success of most Naval officers. Sea tossed ships, however, made it tough to keep your coffee mug in one spot. All that rocking back and forth meant sliding mugs and more than a few cracked cups. In the early 1940’s, the U.S. Navy sent out a request for bids to U.S. companies that could create a coffee mug that would withstand the test of slinging ships. Victor responded, ultimately winning the contract. 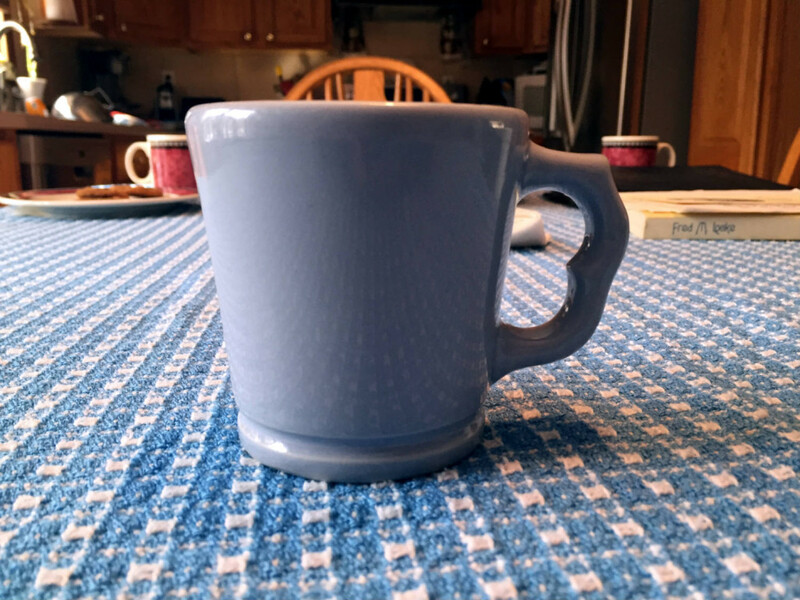 The Navy’s idea was to create a thick-walled mug that was heavy and didn’t have a handle that could break off when it slid and knocked into something else. With the electrical insulator business a bit slower during wartimes, they threw themselves fully caffeinated into the business of making the best mug government money could buy. To start, they created the heavy duty, thick-walled mug without a handle. In addition, the military sought some heavy duty bowls which they also created. 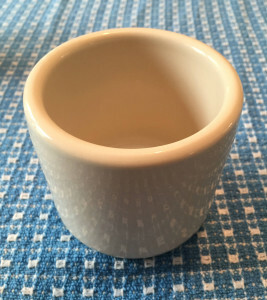 The second design was the same ‘cup’ style with no handle, but the walls of the cup were straight rather than concave and the base a bit more rounded than the original. Still though, white was the only option. 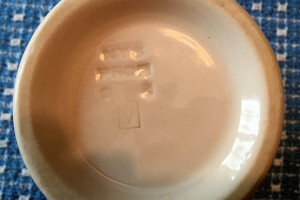 The ‘unfinished’ ring around the bottom of the mug was a function of the manufacturing process. If you were to glaze the bottom of the mug and set it on a drying rack, it would have dried to the rack itself. Luckily, that rough, exposed porcelain also provided a bit of traction to keep it from sliding when your ship hit a swell. After the war, it was decided that since they were already in the business of making chinaware, they might as well continue. 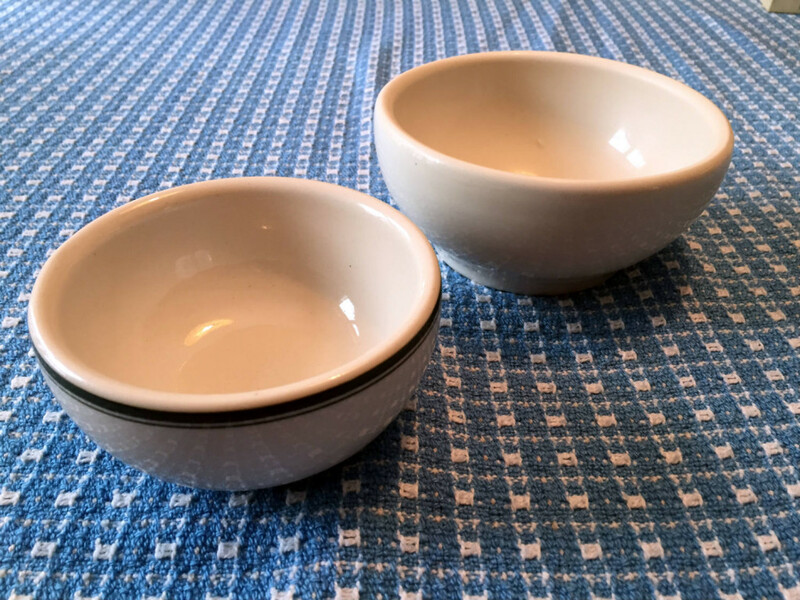 In the mid 1940’s the line was expanded to include a redesign where the cup was slightly smaller and they added a handle and some color options. 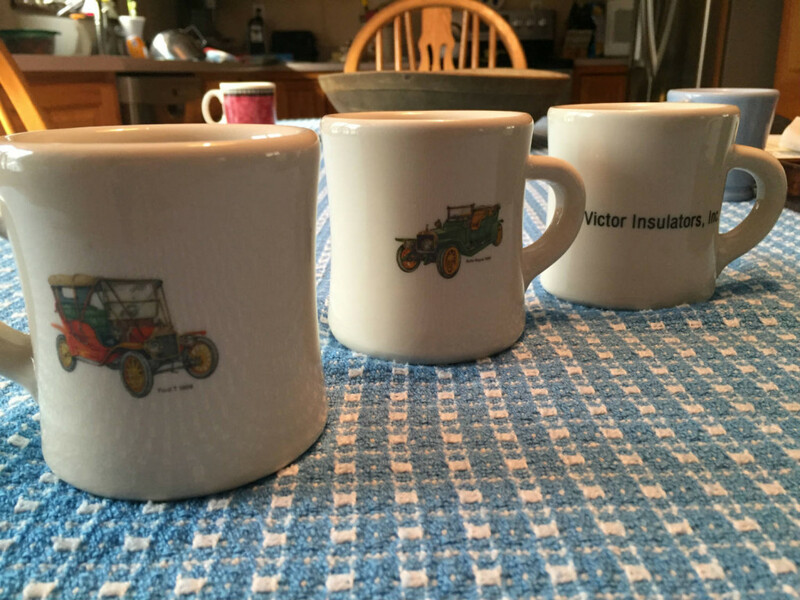 What made the Victor mug particularly easy to create was the quality of the clays being used, which were already used in many of their high-end insulators found in applications like electrical substations. The mug and handle were created separately and then attached to one another by hand before being fired in a kiln. The qualities within the materials allowed the handle to adhere pretty well, and the connection points could easily be hand-detailed so it looked like one molded piece. 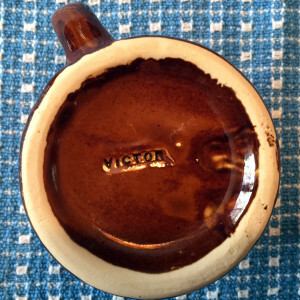 When you hear someone say, “They don’t make ’em like they used to!” they are talking precisely about the Victor coffee mug. The materials that kept your coffee hot were the same ones that kept your electrical lines from shorting out. At the height of the mug manufacturing, there were about 15 employees working in that section. There were numerous people who put the handles on, and later, it became necessary to know exactly who put which handle onto which mug. Imagine if a run of mugs suddenly had problems. How do you figure out which employee needs more training? 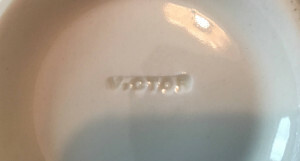 The company began stamping the word ‘VICTOR’ on the bottom side of each mug for branding where it previously had used a painted stamp. However, few know that the practice served an additional internal purpose. If you look closely at the stamps, many have certain sections of text missing. Each employee had their own stamp that they would use with a unique marking indicating their having worked on the mug. One may have been the leg of an ‘R’ removed, or half of the letter ‘I’ like the one pictured here. It’s a subtle tactic which allowed management to keep track of quality control. Soon after, even a unique stamp would prove impossible to tell apart from an overseas imposter. 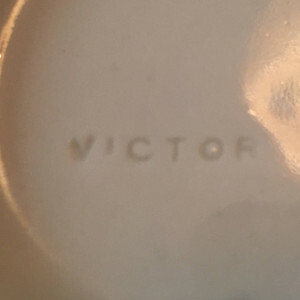 Throughout the middle part of the 20th century, Victor played with various designs, colors and even brand stamps to create a growing collection of chinaware. 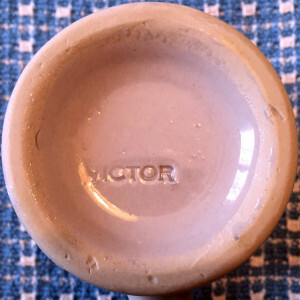 Many were short runs with rarer productions like the pedestal-based mug or cobalt blue mugs, in comparison to the very common white mug with concave walls that was found in countless diners across the country. 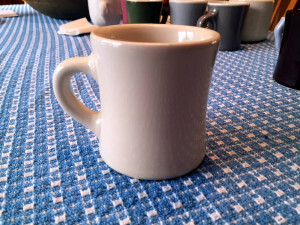 The mugs that were designed to hold up against ocean-farers in battle proved to also withstand the abuse of serving American diner customers. 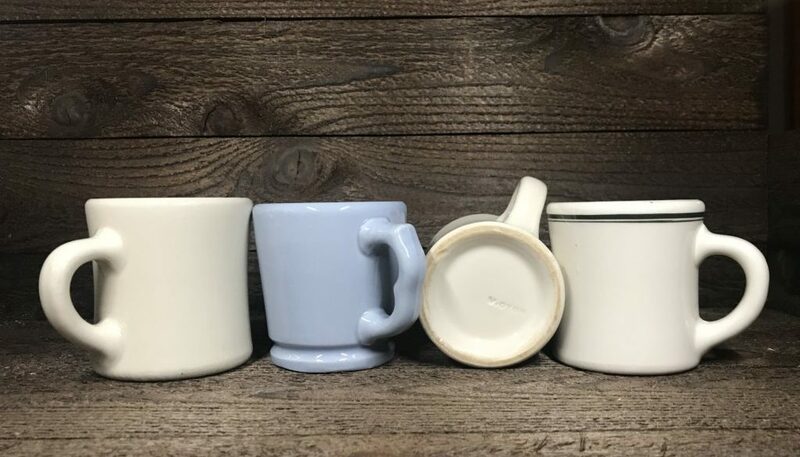 Imagine the wear and tear one coffee mug in a popular diner undergoes in a single day–the Victor mug’s specifications easily won any war fought by table bussers or dishwashers. 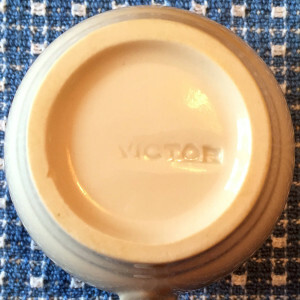 During the 1960’s and 1970’s, the Victor Coffee Mug was literally everywhere, and even today, the design is synonymous with vintage Americana. Most people probably think it was a common design for mid-century America, and it was, but only because of one company. 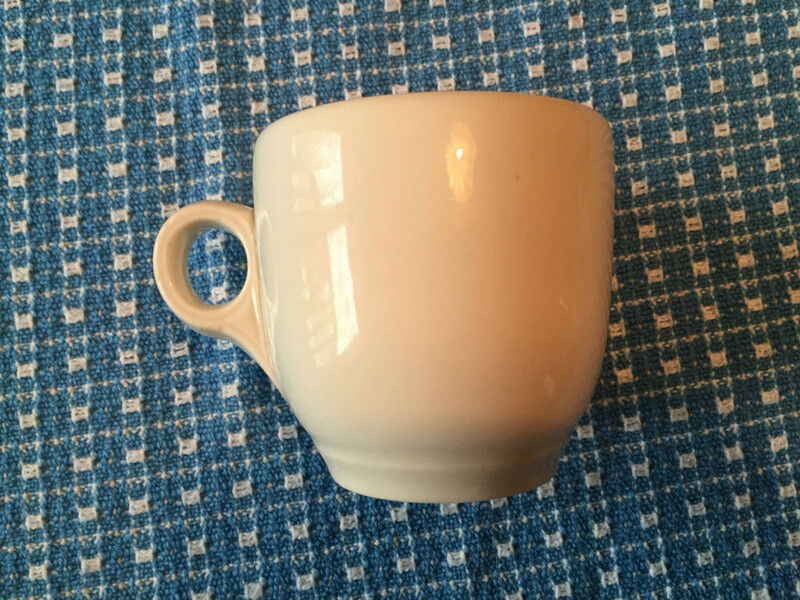 Right around 1980, Chinese companies began to produce the iconic white coffee mugs and distribute them worldwide. 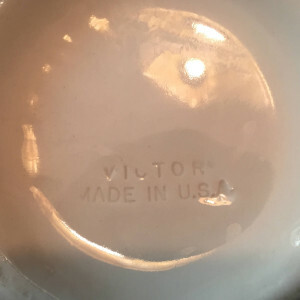 While Victor could produce a single mug at the manufacturing cost of 81 cents, a Chinese knock-off would be sold at a retail cost of 45 cents! Their retail was almost half of Victor’s wholesale costs! 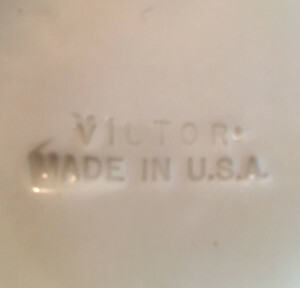 If that wasn’t insulting enough, many Chinese knock-offs even had the word ‘VICTORY’ stamped in the bottom, but with a poorly pressed ‘Y’, so at quick glance it might look like ‘VICTOR’. 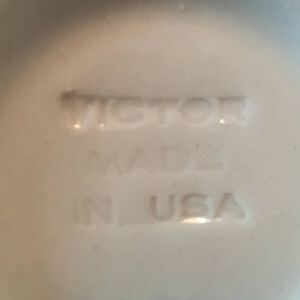 Not to be outdone, Victor Insulators began to include that telltale phrase that my proud-to-be-an-American-factory-worker grandfather always sought. 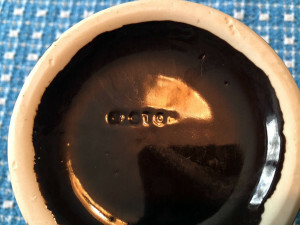 They began to stamp ‘MADE IN U.S.A.’ on the bottom of the mugs right around 1984. That was also the time when the company was purchased by a few employees and the name was changed to Victor Insulators, Inc. 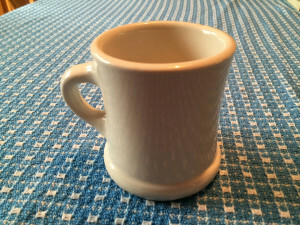 The mugs ran a few more years until 1987 when enough customers had decided that being made in America didn’t quite outweigh the higher costs. The chinaware portion of Victor Insulators was closed and much of the machinery taken out. Some of it is gone forever and some of it remains in storage, no doubt covered in porcelain dust. Today, the very spot where mugs were created is filled with carts and provisions used throughout the rest of the very active factory. A kiln is still visible, and some controls that once operated machines still bolted to a beam, and memories are what remain. While I walked through the entire facility, there were more than a couple employees who spoke to me about the mugs and remembered the operations fondly. Many even have some in their personal collections and one even claimed, “I’ve got a few out in my truck right now!” while pointing to the employee parking lot. 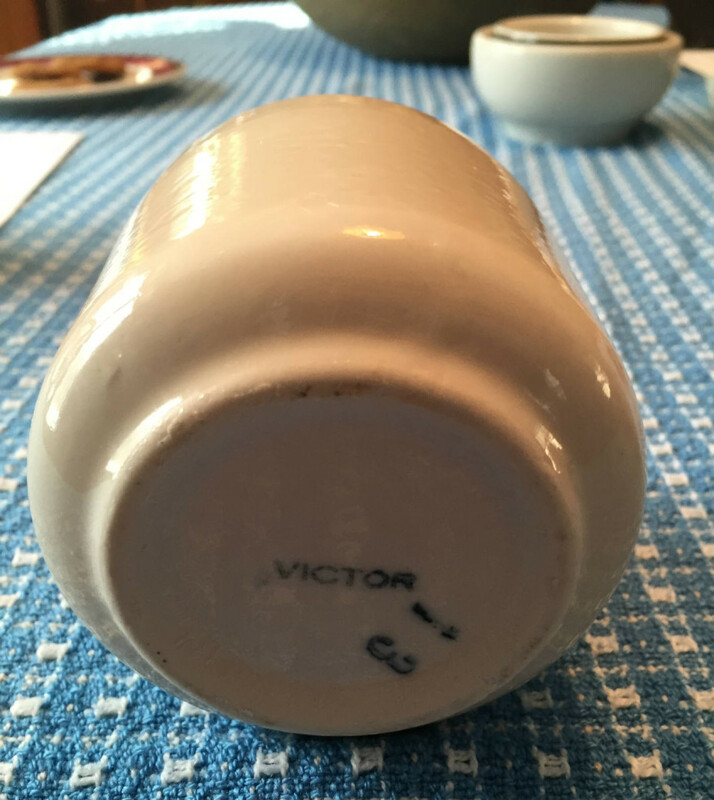 Occasionally, you can find original, authentic Victor Coffee Mugs around if you look. However, so many iterations and changes took place over the years that it’s tough to know the exact year a mug may have been manufactured. Though, narrowing it down to a decade would probably be possible for a true expert, of which there are literally only a few. Making the hunt even more difficult, there are a lot of “Factory Seconds” that didn’t meet quality control, but employees were allowed to bring home up to 12 of them a month. More than occasionally, you can find Chinese knock-offs floating around and you can even buy brand new ‘diner coffee mugs’, but rest assured they aren’t made by Victor. 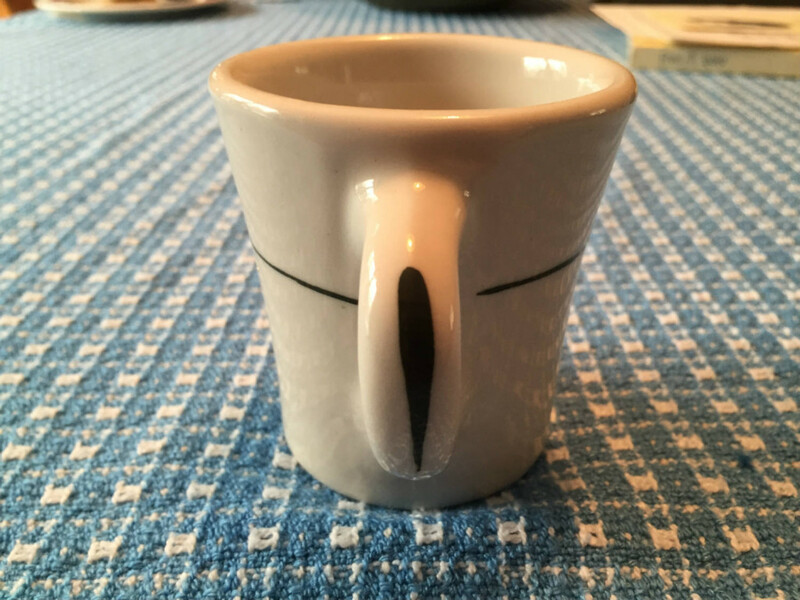 While there are a lot of unknown finer details in the history to the mug that are probably lost forever, one indisputable fact remains: there is no greater example of a truly American coffee mug than what came out of the Victor factory in those 40-some years. If you’ve got one, drink from it with pride–even if your table isn’t moving with the waves. 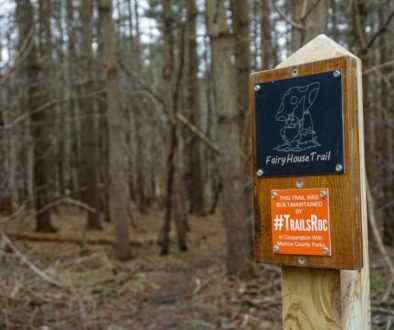 Another excellent article about a local source of pride. I go by Victor Insulator dozens of times through the course of the year. I knew a little about the company and what they did. 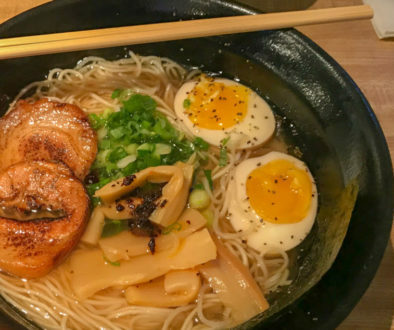 But this article made it even more ‘home-made’. Great Article. Are there any insulator mugs available anywhere? 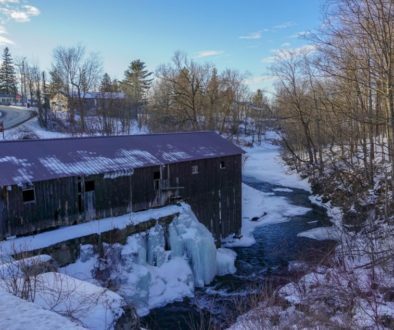 I grew up in Victor and would love to own a piece of local history too!